Adaptive Sychronized Swimming will be featured Abilities Expo Bay Area, November 21-23, 2014. Ever wonder how they do it? How they can hold their breath and flip upside down so "easily" and dance in the water? It's ALL in the magic of the pool! The combination of dance, gymnastics, ballet and swimming into one breathtaking display of fitness and athleticism makes synchronized swimming not just a beautiful sport, but a powerful one. Why Is Synchro Optimal for People with Disabilities? I wasn't kidding about the magic of the pool. Water equals accessibility! The buoyancy effect that the water provides makes it easier for many people with physical disabilities to support themselves and join in the fun. Likewise, water offers comfort and ease of transition which make it ideal for athletes with intellectual issues. At any level, whether for competition or therapy, synchro boosts confidence, develops independence, builds strength and stamina, and enhances the overall quality of life for people with disabilities. 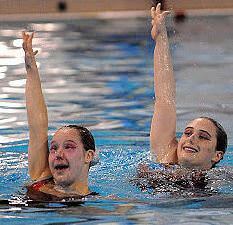 In the words of award-winning synchro athlete Raquel Boales, who has Erbs Palsy, "My dreams are made in the pool!" The invention of synchronized swimming is ascribed to Annette Kellerman, a sassy, turn-of-the-20th century Aussie who wore painful steel braces on her legs through her early childhood. Her parents looked to swimming instruction to aid their daughter's muscular development and discovered that she was part fish, part performer! In New York City in 1907, her water ballet show in a glass tank not only met with accolades and approbation, it introduced America to synchronized swimming. In the last 20 years, Synchronized Swimming Athletes with Disabilities (SS-AWD) has flourished in North America and around the world. Our mission? To promote synchronized swimming among our youth and adults with disabilities and to globally expand, exposing more and more to the enrichment, athleticism and therapeutic value of this adaptive sport. Our athletes have been making a name for themselves in competition against others with disabilities and able-bodied individuals alike. 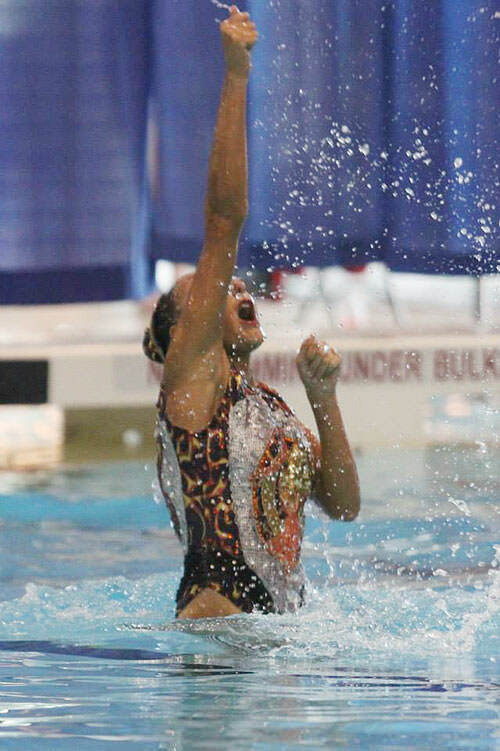 Raquel recently became the first American SS-AWD to travel to Canada and swim in the prestigious 2014 Canadian Espoir National Synchro Championships. She triumphantly brought home a gold medal for her solo performance, swimming to a special medley of Hunger Games Catching Fire. 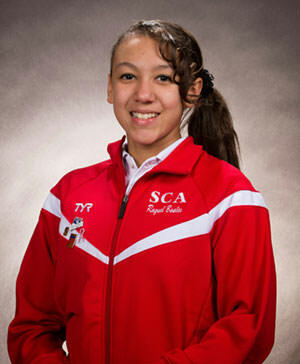 To complement her winning streak, she also placed first in level 4 figures! A synchro athlete since the age of 10, Lauren (right), who has cerebral palsy, joined forces with Nicole (left), who has Down syndrome, and become the first Duet to win the gold in the Canadian Nationals. Ultimately, our goal is to introduce Synchro as an International Paralympic Sport for 2024, but we need you! Join us, support us and spread the word! You can visit our website, like us on Facebook and follow us on Pinterest.